He’s a four-year varsity forward for Saint Ignatius who has tallied 19 goals, including 4 game-winners, in his first 14 Chicago Catholic Hockey League games this season, along with 6 assists. Pat Doyle is tied for the league-lead in points and leads in goals. Doyle is just one of the reasons for optimism this winter for the Wolfpack, which leads the Catholic League and is one the state’s elite teams. They outscored league foes 73-36 in their first 15 games, and are leading St. Rita, Saint Viator and Providence Catholic. 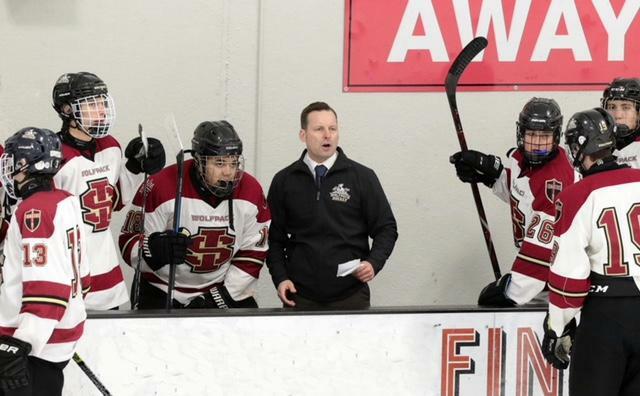 Doyle, an assistant captain, “is a dynamic play-maker,” said Saint Ignatius head coach Matt Smith. Doyle was the Most Outstanding Player in the Catholic League last season … and skating the same path this season. It should surprise no one if Doyle and his Wolfpack skate this March at the United Center for the school’s first-ever state championship. Saint Ignatius is loaded with experience, depth and team culture. “We have balance across the lineup and our guys understand our elevated standards and expectations,” Smith said. Smith, 45, a Chicago resident and the athletic director for Acero Schools, has 15-plus years of coaching experience, four in the high school ranks. “My first experience coaching was as a camp counselor (during my) summers of high school and later as a minor instructor with CanAm Hockey summer camps, including Stars Hockey Camp in Guelph, Ontario (during my) summers of college,” Smith said. 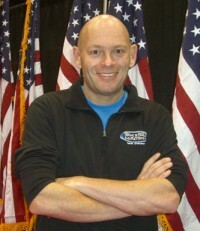 He has extensive, successful coaching experience locally: he coached for the Chicago Blues (charter partnership with Saddle Hockey Club; winning one NIHL championship); Chicago Jets (where he served as both hockey director from 2007-12 and coach for several squirt and pee wee teams, including winning two NIHL President’s Cups); and the Chicago Stallions (2015-16 skills coach/player development and coached a pee wee team). In addition, he spent one year as the JV coach at Evanston High School. Smith was named the league’s Coach of the Year in each of his first two seasons with the Wolfpack. 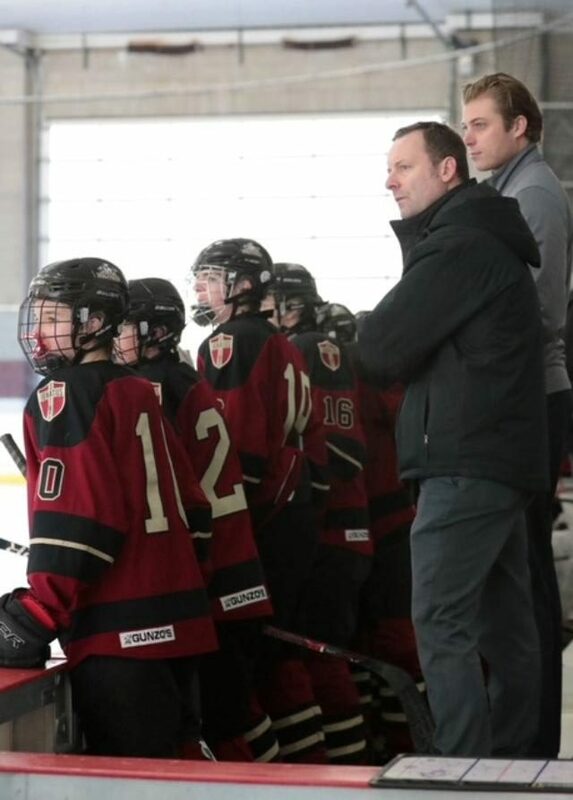 Plus, Smith was a central regional scout for the USA Hockey National Team Development Program (NTDP) for one season (2014-15), including attending the national team evaluation camp and USA Hockey Select U-15 festival. This season has included a day trip to Milwaukee in November to participate in a set of exhibition scrimmages, hosted by the University School of Milwaukee. “It was good for our group to be together in that way and to compete against higher level competition. (It was) a productive, enjoyable experience all around,” Smith said. Smith grew up playing mainly for the McFetridge Patriots with a couple of seasons skating for the Skokie Flyers and Deerfield Falcons. He played for Lane Tech High School, then at Lawrence University in Appleton, Wisc. where he was a four-year player and team captain as a senior. “(My playing career) taught me how to compete; gave me a respect and passion for the game, including developing valuable life-long friendships. It also gave me an appreciation and understanding of the demands of being a student-athlete,” Smith said. Senior All-State goalie Charles Doherty is another reason for the Saint Ignatius success this season, along with a rock solid senior defensive core/leadership group – Sam Madura (co-captain), Dom Fischer (co-captain) and Chris McFarland (assistant captain). Two key newcomers this season are junior center Max Pasiennik and sophomore center Will Gerami, both of whom played AAA last season. “(They are) very responsible and coachable players who have made an immediate impact,” Smith said. “It’s been a positive start to the season. We went right in to the lion’s den early on, (including defending state champion) Loyola Gold in game one and New Trier Green in game three, (challenging games) which I think helped us with our strong start in the Catholic League,” Smith said. “We have played well and consistently in the Catholic League, although Providence has had our number in two very competitive games. Forward Dominic Bertucci has 15 points in 15 league games, followed by Max Pasiennik, Will Germai and John Nelson. So how far can Saint Ignatius go this season?